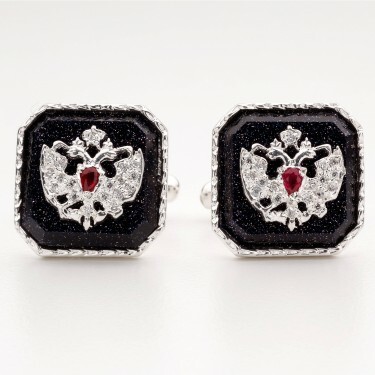 Theo Fabergé’s Romanov Cufflinks are in sterling silver. 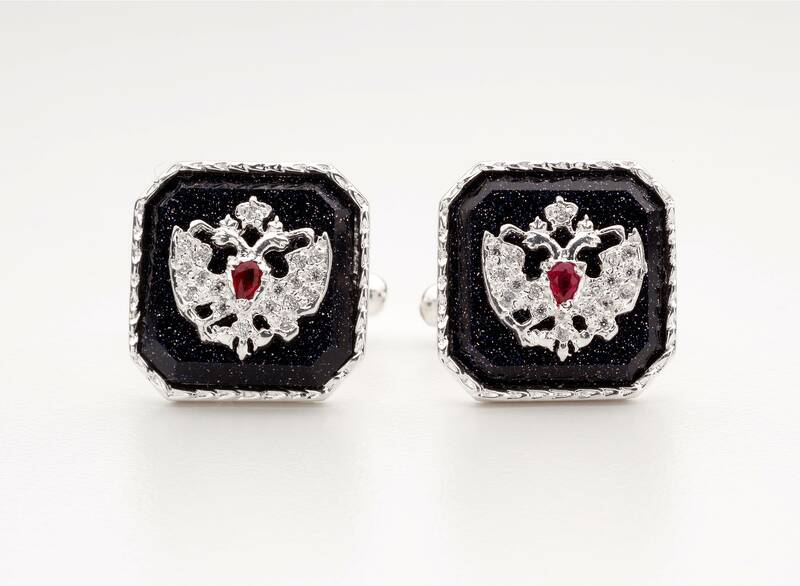 The double headed Imperial Eagle encrusted with rubies and diamonds, is set on stellar goldstone and mounted within a silver frame. 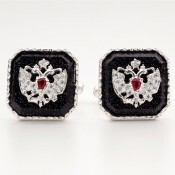 Materials: Sterling silver, stellar goldstone, diamond and ruby.